Recently there has been a frenzy of undue attention given to an Associated Press (AP) article, Medical benefits to floss unproven demonstrating that it’s apparently very popular to tell people they don’t have to floss! The AP article has begun a tidal wave of online articles reiterating its supposed findings. 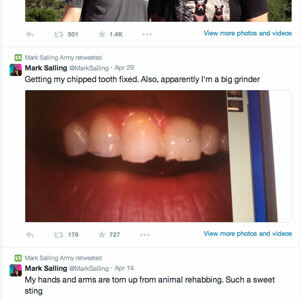 The fact of the matter is that the benefits of flossing are obvious and the AP article does nothing to change what the dental world has known for a very long time: flossing is essential to oral health. Bacterial plaque causes periodontal bone and tissue loss that can be disfiguring, cause loss of function and affect your overall health. Removal of bacterial plaque is essential and proper flossing is an effective way to clean between teeth. Other devices such as wooden sticks, small brushes, and oral irrigators are also effective. A regular regimen of flossing reduces cavities and helps to prevent, as well as treat, gingivitis and periodontal disease. According to the Centers for Disease Control’s most recent data, nearly 50% of adults over the age of 30 suffer from ongoing periodontitis and this disease is the major factor of tooth loss in the US. The research regarding the benefits of flossing (in addition to common sense) has longstanding recognition. The Associated Press is not a reliable source of information regarding oral health and the article on flossing does not cite journal articles or research. The American Academy Periodontology recommends that all dentists (not just periodontists) conduct a comprehensive periodontal evaluation at least on a yearly basis for all adults over 30. Periodontists see patients referred by dentists, physicians or see patients without referral who are concerned about their periodontal health. Find out more about periodontal diseases and dental implants by visiting us online at www.implantperiohealth.com and call us today for a comprehensive periodontal evaluation. Dr. Arauz is a Board Certified periodontist, Diplomate of The American Board of Periodontology, and an active member of the American Academy of Periodontology, the Academy of Osseointegration and the American Board of Periodontology. The dental practice of Dr. Jose Arauz in Jacksonville, North Carolina is limited to Periodontics, Dental Implants, and Oral Medicine. He is fluent and proficient in English, Spanish and Portuguese. Donn, J. Medical benefits to floss unproven. Homdel, NJ. : Associated Press. August 2, 2016. Accessed August 8, 2016. Gurenlian, J. The Role of Dental Plaque Biofilm in Oral Heath: Journal of Dental Hygiene, Vol. 81, No. 5, October 2007. Eke PI, Thornton-Evans G, Dye BA, Genco R. Advances in Surveillance of Periodontitis: The Centers for Disease Control and Prevention Periodontal Disease Surveillance Project. 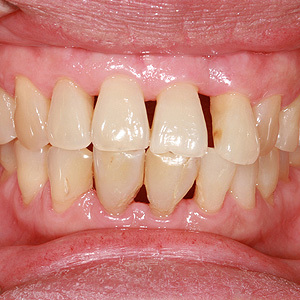 J Periodontol 11 February 2012: 1–9. Theilade, E., Wright, W. H., Jensen, S. B. and Löe, H. (1966), Experimental gingivitis in man. Journal of Periodontal Research, 1: 1–13. doi:10.1111/j.1600-0765.1966.tb01842.x. Reitman et al. 1980; Kinane et al. 1992. Comprehensive Periodontal Evaluation (CPE), American Academy of Periodontology: Perio.org, Accessed August 9, 2016,https://www.perio.org/consumer/perio-evaluation.htm. In case you didn't know it, you're a big deal! Our patients are the reason why we do what we do and it's a privilege to provide you with the best care possible. Communication is an important part of our relationship so we decided to begin a monthly newsletter to keep you informed of what's happening at the office. Each month you find information about contests, any important changes to the office, community events, educational information and more. We'll keep it short and hope you'll take a moment to see what's happening at the office and in our community.